Single band vs Dual Band WiFi Router: Which one Best? Before know difference between single band and dual band read the last post “how to choose the best Wi-Fi for home”. This will help you a lot to decide which router is best for your home and office. This post will bring you information about which router should choose from the single band and Dual band. enjoy the post about wifi technology and see the difference between Single band vs Dual Band WiFi Router: Which one Best? Single band vs Dual Band Wi-Fi Router: Which one is best? Do you always wait to load website or buffing while watching UHD and HD videos because of slow internet speed? You may compromise with video quality when watching YouTube video because your single band Wi-Fi router doesn’t allow you to watch HD video without buffering. Don’t worry after reading this post you will get the stronger reason to replace your old single-band Wi-Fi router with latest high-speed dual-band router. As the smartphone user increasing very fast therefore demand of internet speed also increasing. To deliver the high-speed internet over Wi-Fi you must understand the differences between single band Wireless router, Dual band, and tri-band Wi-Fi routers. Whenever you think to see live video streaming with UHD and HD quality then your single band always gives your buffering but the dual-band will give you buffer-free video without reducing quality. Smart Answer is Single lane road always slower speed than a dual lane road. So as Multi-lane always better for higher speed, the same dual band gives you higher speed and network switching option than the single band. As seen above image dual lane road running car both lane. same with dual-band 2 Simultaneously running 2.4Ghz and 5.8GHz two bands to double the speed than the single band. How to identify Single band or Dual Band Wi-Fi Routers. Did you confuse when seeing any Wi-Fi router with more than 2 antennae? You may always doubtful when you hear the single band and dual band wireless router. Many people also not aware about BGN Wi-Fi router vs ABGN Wi-Fi router. In this post, you will get all clarification about BGN vs ABGN and Single Antenna vs Dual-antenna Wi-Fi router, Single channel band vs Dual channel band. To identify a Wi-Fi router, Laptop and Mobile Phone Wi-Fi is the single band or Dual band is quite easy. Just follow the steps given below to quickly know. to physically identify whether the router is the single band or dual band sees the external antenna of routers. If the router has only 1 or 2 Antenna than it is only 2.4Ghz single band router. if 1 antenna means 150Mbps or if 2 Antenna means 300Mbps speed. If the Router having 4 or more antenna it means it is the Dual band or Tri-band Wi-Fi router. Now the question is how to know Wi-Fi router is Dual band or single band if it has the internal antenna. Method2: How to check Access Point is the single band or dual if no external Antenna. If Wi-Fi router or Wi-Fi access point having internal antenna than it cannot identify physical. So to check router band you need wireless analyzer tool or you can access the device and see in the web interface. But the important thing is identifying from tools your Laptop or mobile should have Dual-band Wi-Fi. If you are getting 2 Wi-Fi SSID from same Access Point it means Dual band. If only showing 2.4 GHz Channel it means it, single band. If you don’t have dual band WiFi Laptop or Mobile phone then you can use dual band wireless adapter which is connected to the USB port and your single band Laptop turn in to the Dual band. Download WiFi analyzer tools here. Method3: How to check WiFi is the dual-band or single from the web interface. Login the WiFi access Point web interface. IF Wireless 2.4 GHz and Wireless 5 GHz both interface it means Dual Band Wi-Fi router. After identification of router bands now question Which one is best? Single band vs dual-band Wi-Fi Router. Difference between Single Antenna Wi-Fi Router vs Multi-Antenna Wi-Fi router. When you know about the single band and dual band technology then you can select the best one according to your work and needs. 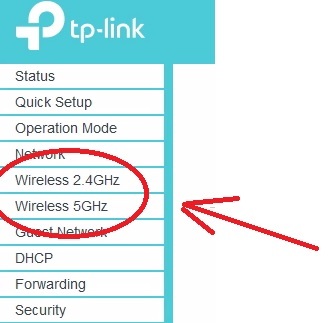 The WiFi access point having only 2.4 GHz frequency called single band Wi-Fi router. The router having 2.4 GHz and 5 GHz both frequency called Dual-band Wi-Fi router. Single band WiFi router also called BGN and Dual Band called ABGN. Which is showing support standard as per technology discover? BGN = firs B technology comes than G and now the N technology we are using which is also called MiMO (Multi in Multi-Out) technology. In ABGN= BGN is for 2.4 G with MIMO and A stand for 5 GHz Frequency Band. The demand for internet speed single band Wi-Fi router almost going out from the demand. So now all the dual band Wi-Fi demand increase. The reason behind the demand for dual-channel frequency see the below. Single-band Wi-Fi router speed limits up 150Mbps or 300Mbps on 2.4 GHz. If it’s Try band Wi-Fi router it can go up 7200Mbps wireless speed. It means wireless beyond the thinking where the single band cannot stand longer. 2.4 GHz Signal band Antenna comes with 1 antenna or 2 Antenna. Which can be used for a small home. Dual Band Access Point having 2 Antenna or 2.4Ghz and 2 Antenna for 5 GHz which automatic increase the signal coverage and best Wi-Fi router for the large house. So Dual band always is the router with the best range as well as high speed. As the single frequency band Access point only have 2.4 GHz and nowadays 2.4Ghz already having congestion. Using multiple single bands may give you slow network switching (roaming) due to heavy interference. Dual-band Wi-Fi router having 2 bands itself and smartphone having the mechanism to auto choose the best network first. 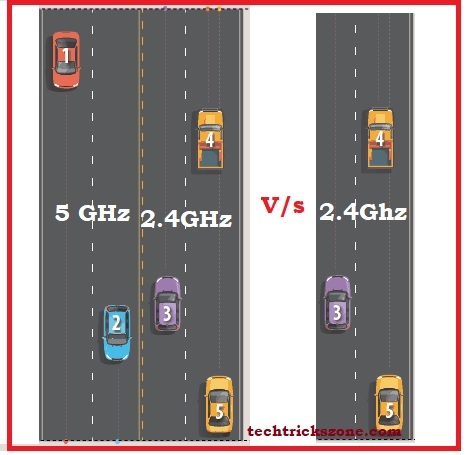 If 2.4Ghz having faster the 5 GHz it will be connected auto. it does dual band router switch automatically for faster roaming and seamless network connectivity. TO using large area hotspot or campus Wi-Fi always go with Dual-band Wi-Fi access point to avoid poor internet speed and unstable connectivity. Dual band router will give our 10x faster file sharing and downloading speed than single band wifi access point. so dual wifi network provide your speed experience like a wire connection. Use the dual network for official work as file sharing and local storage with faster file sharing’s. Which one is best for Gaming from the Single band or Dual Band? Dual band router always gives you stable connectivity and high-speed wireless performance. Enjoy the lag-free game experience with dual band wireless router. Finally, it’s clear that Dual band always better than the single band as it provides high speed and better coverage. Dual channel always gives you stable connectivity than a single ban?d. You also get the option to switch faster roaming during multiple wireless networks.so go with the latest technology toward future as the single band having the limitation of speed and interference. 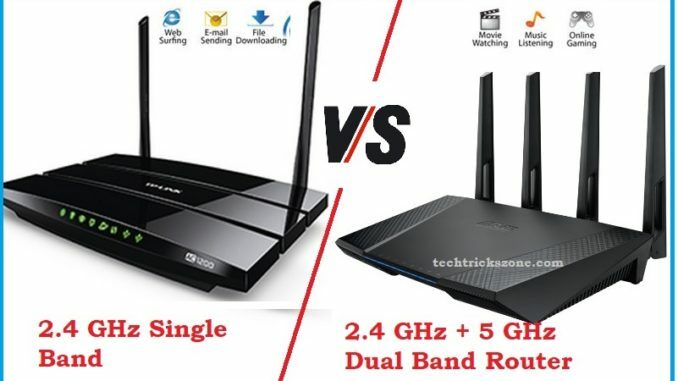 hope this post “Single band vs Dual Band WiFi Router: Which one Best” help you to select best WiFi router for gaming and Videos faster than before. So why compromise video quality from UHD to SD when dual-band gives you a buffer free live streaming without compromising quality. So don’t think just choose the dual-band router toward the next step of technology.